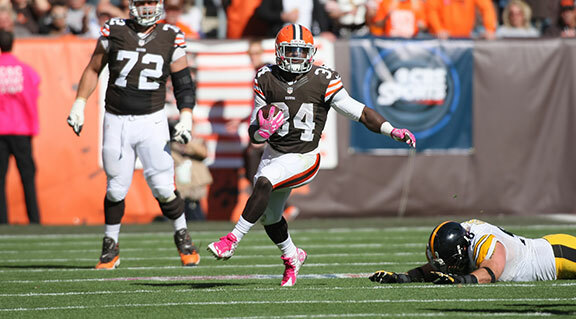 Cleveland Browns running back Isaiah Crowell has been busy with more than football while waiting for the start of this week’s Organized Team Activities. The second-year, undrafted free agent has been visiting schools and football camps in his home state of Georgia and was commended by the Georgia General Assembly during a visit in March. Read all about it in our latest post at Dawg Pound Daily.